I recently became aware of two very different stories about children and physical activity. The first was a Facebook video of a young kid cruising around in a parkour gym. If you haven’t seen it – check it out – it is worth the 1:14 min. What a great place for kids to play, learn and move! Check out the movement skills of that boy! And, kudos to the wonderful instructor leading the class – love the clip with the kids jumping to a box and grabbing his feet for stability. Let me go out on a limb here (properly harnessed in, of course) and let you know what probably happened. Random kid: Julie pushed me. Other random kid: Ryan pushed me. 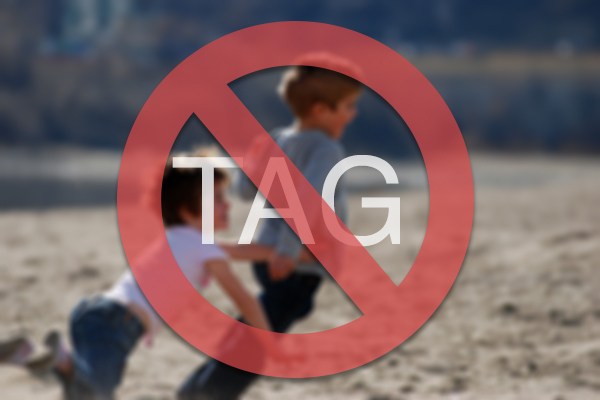 Not so random Principal: That’s it – no tag for anyone! Everyone must keep their hands to themselves. In fact, why don’t you sit on your hands all recess for good measure (ok, that part might not have happened). I could go on with even more, but I think you get my point. From what I can tell, each of these “bans” springs from an incident or two where someone gets hurt (in the Toronto case it was a parent who got a concussion from being hit in the head with a soccer ball…). If this is the way we handle inappropriate behaviour in schools then would someone please answer these questions? If a kid gets stuffed in a locker – do we ban all lockers from the school? If a kid throws an eraser in class and hits another kid in the head (like my friend and I did to each other for most of grade 5…) – do we ban all erasers from the school? If a group of kids is too rowdy when they work on problem solving in math class together – do we ban group work? If anything, we should have MORE active play and student interaction at recess – the Lord knows they spend enough time in front of screens not interacting. Hmmm, here’s an idea – how about MORE physical education classes taught by qualified, trained professionals who can help TEACH social skills and appropriate behaviours for playing together in and out of class. Booya (does anyone say that anymore?) – problem solved. 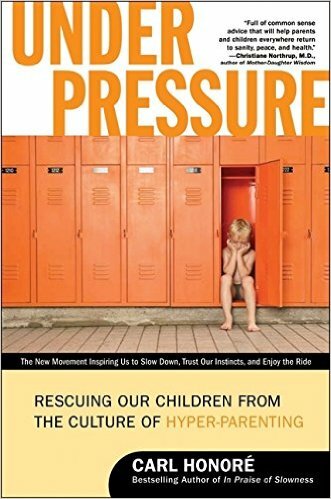 Carl Honore shares a story in his brilliant book (which you should buy), Under Pressure: Rescuing our children from the culture of hyper-parenting, from the Secret Garden nursery school in Eastern Scotland – the first outdoor nursery in Britain. A group of 3 year olds had spent the day in the woods; helped by the adult in charge, they built a fire to ward off the chill. Wee Magnus Macleod reached in with his bare hand and picked up a burning ember. BAN fires! BAN bare hands! BAN outdoor nurseries! BAN three-year-olds! Nope. Everyone stayed calm. Magnus’s wound healed. His mom kept him in the Secret Garden and also enrolled his younger brother. She said, “…the main thing is that Magnus is now very sensible about fire – he knows not to get too close to it. The truth is that there are risks in the world and that children benefit from being exposed to them within reason” (p. 240). Well said Doug! Thanks for the tip on another Honore book. No problem Stanton – great book! Can you pop a link to that parkour vid? Health n safety generation ironically adversely affecting health? The link was in the blog – did it not work for you?